1First Comics @ C2E2 with Bill Willingham and Travis Moore! Add June Books To Your Pull List! 1First Comics @ C2E2 (4/6 to 4/8)! 1First Comics’ hometown convention C2E2 is less than 2 weeks away and we hope to see you there. 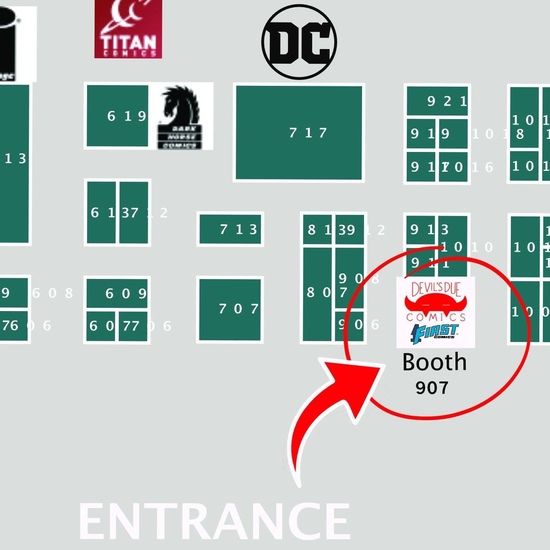 Swing by booth #907 to check out the latest books from Devil’s Due/1First Comics. 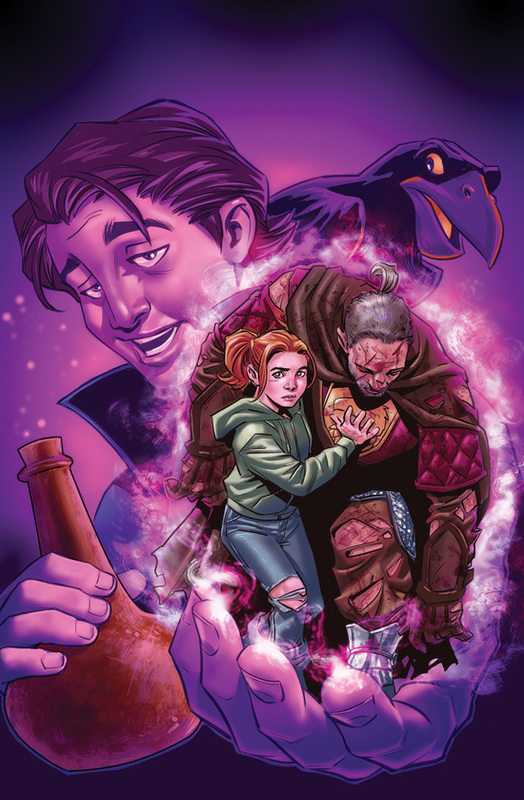 Meet Lark’s Killer Creator Bill Willingham and Series Artist Travis Moore! Don’t forget to swing by 1First Comics creator Bill Willingham’s table in Artist Alley during the show. The creator of Lark’s Killer will also be joined by series artist Travis Moore. 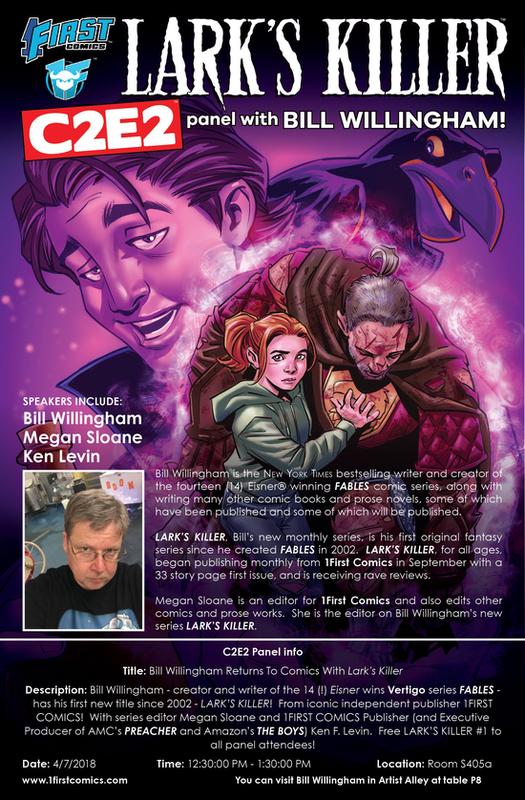 And, if you’ll be at C2E2 on Saturday, come to the Bill Willingham Returns to Comics with Lark’s Killer panel at 12:30 PM in room S405a featuring Bill Willingham, Travis Moore, series editor Megan Sloane, and 1First Comics Publisher Ken Levin. All con-goers attending the panel will receive a free copy of Lark’s Killer #1! It’s time get in your pre-orders for June! Head to your local comic shop or reserve your copies of 1First Comics June releases on the Devil’s Due/1First Comics webstore. Lark’s Killer returns with issues 7 in June and all 8 issues of Malefic will be collected in a trade paperback. “Drunken Master.” Good news, bad news time. The good news is magic works in Lark’s new world, and even Brenar’s mortal wounds can be healed, if you get the victim to the right sorcerer soon enough. The bad news is the only sorcerer they trust in these paranoid times is a drunk. Can Ulmore the Great and Terrible sober up soon enough to save Brenar’s life? Plus, a new backup feature: “My Monstrous Life” by Mr. Willingham and art by Shawn McManus! The world of Malefic is as wicked as the devil and twice as tricky. Young Dr. Freust, a psychiatrist in a castle full of deranged paranormal mutants, must pit her wits and her sanity in a dangerous game as she takes her deceased father’s controversial fringe scientific experiments to unimaginable levels in order to stop the lunatics from taking over the asylum. Malefic combines the storytelling twists of The Twilight Zone with the outrageous sensibilities of American Horror Story.